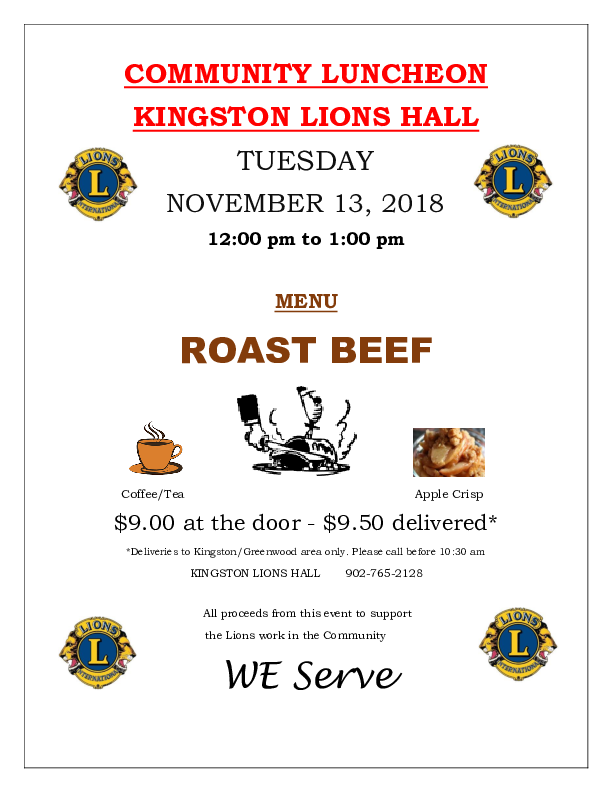 The menu will be roast Beef, mashed potatoes & peas, yorkshire pudding, onion salad, tea & coffee. Dessert will be Apple Crisp. Deliveries to Kingston/Greenwood area only. before 10:30 am for deliveries.